Ah! Springtime in New York! It’s just around the corner, you know. What you may not know is that spring is the best time to do air conditioning maintenance in Brooklyn. Give us a call and we’ll come to you. We’ll test your A/C and clean it to make sure that it is ready to keep you cool this summer. If we find anything wrong, we’ll do your air conditioning repair in Brooklyn to keep your A/C cold when it’s hot out. 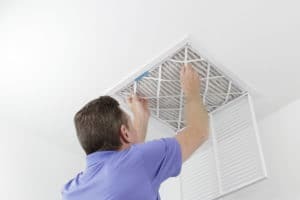 It may seem early, but now is the perfect time to get your air conditioner maintenance out of the way. If you wait too long, you may call us to find that we can’t get to you for a couple of days. Don’t risk turning on your A/C only to find that it’s not working and you need HVAC repair in Brooklyn. Plan ahead, get the maintenance done now and stay comfortable this summer. If you’re like many homeowners we talk to, you may now know how air conditioner tune-ups can help you live better. Here are just a few benefits you can reap by signing up for air conditioner maintenance. Avoid expensive repairs. When it comes to your A/C, small problems can become big ones fast. Avoid HVAC repair in Brooklyn by letting us take a look at your A/C before it gets hot. We’ll fix any small problems we find so they don’t cause catastrophic damage later. Save money. We’ll clean all of the gunk out of your A/C so that it can work efficiently. When it’s working well, it won’t use as much energy. This isn’t just good for the earth, it’s also good for your wallet. Since you only pay for the energy you use, using less is always good. Keep your A/C running longer. An efficient A/C tends to last longer than one that’s working too hard. We’ll make sure yours lasts as long as possible. If you need A/C maintenance or air conditioning repair in Brooklyn, call us at Petri today. We’ll get out to you as soon as we can and solve your problem, so you can get cool again soon!